HOT DISCOUNT on Birthday Parties! Hot weather is on its way and with that brings the outdoor party bug. We get it - we love the outdoors! Except for when it's too hot. Or rainy. Or the bees won't leave your fondant cake alone. So we're offering you an opportunity to book our award-winning space at a discounted rate, where you can be assured of a rain-free, airconditioned, and awesome celebration. Want to add summer flair? Our giant tiki hut is the perfect backdrop for an Island Party or a Moana-inspired celebration! Add on our gourmet ice cream bar to bring the taste of summer indoors. This offer is for a very limited time only. Click here to see all of our packages. Reserve your time and date now using booking code HOT2018. Valid only on the BASIC MONKEY PACKAGE. New bookings only - no exceptions. Weekend drop-in play hours are determined by our birthday party schedule. Please check our web calendar before coming to play. Copyright 2018. 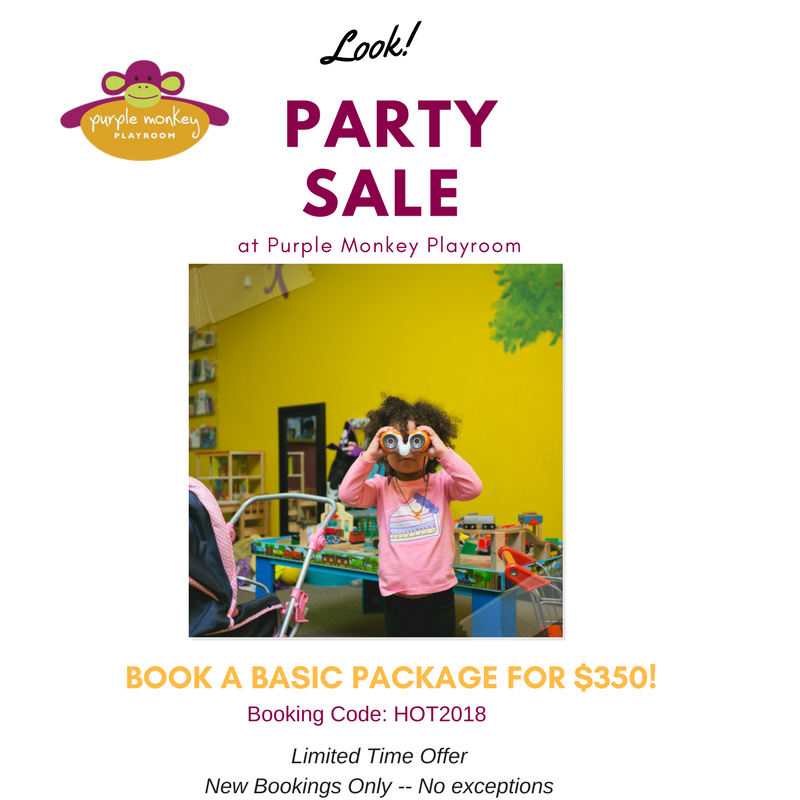 Purple Monkey Playroom, LLC. All Rights Reserved. Site Design: Gold Creative Group, Ltd.